Teens and Technology: What about Facebook? My blog started out as a way to chronicle my own interaction and behaviors with technology, and it has morphed into a broader examination of technology use by adults and teens, much of which is cause for at least some concern. For the next few entries, I plan to focus Facebook in general. The research shows many types of issues including: Facebook Addiction, Facebook Depression, and Facebook Narcissm. And is there a type of Facebook Etiquette, or more specifically a mindful way to interact with Facebook? 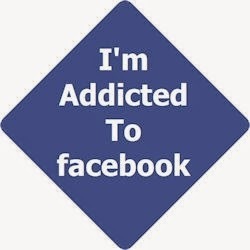 My first question is, “Am I addicted to Facebook?” I do know that I have been working with my addiction to my iPhone, but I’m not sure about Facebook. I check it when I have a notification, but that notification does not “ding” on my phone. In general, I don’t spend a lot of time perusing my Feed, so I do not think this is one of my major issues with technology. I do have a friend who messaged me, “Help me! I think I’m addicted to Facebook.” For her and others, including teens, I will research Facebook Addiction, as well as suggest the solutions. The first, though, are two easy online quizzes: Quiz #1 And Quiz #2. I had another friend talk to me about the depression she often feels on Facebook when she sees people on vacations and social events, having more fun than here. She is not alone in this complaint. Facebook Depression is real. I wonder if my posts trigger FB depression in others? Perhaps. I usually post more when I’m in California because I am usually with family members who other friends and family like to see. There are times, though, when I post pictures of the beautiful weather and scenery from my parents’ porch in the Bay Area. My friends on the other coast, “stuck” in the snow and cold on of winter may feel some envy. Do these same posts reflect Facebook Narcism? Some researchers claim being a Meformer, instead of an Informer is a sign of Narcism. Are my posts mostly about “Me” and my life, or are they meant to inform others about a myriad of topics? These questions require further reflection combined with further research. They are certainly interesting to ponder.